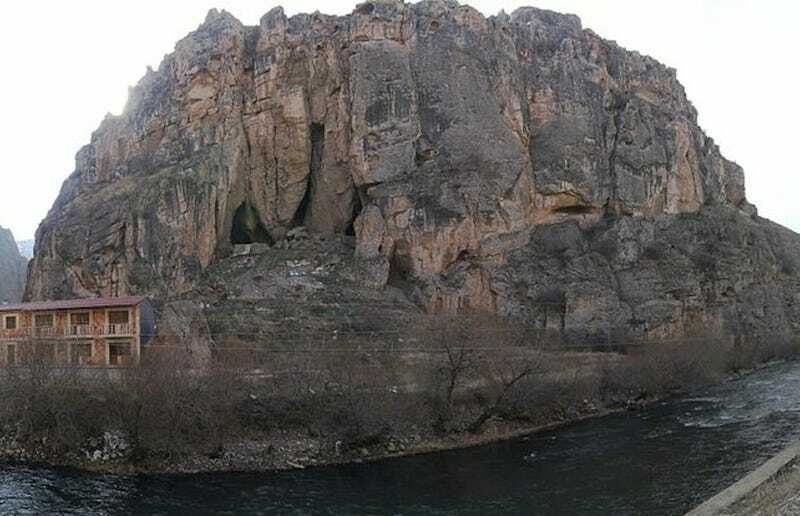 First investigated by archaeologists in 2007, the ever-giving Areni caves consist of a number of burial sites dating back to 5000 - 4000 BCE. The miraculous finds began almost as soon as digging begun. Among the artifacts the Armenian-Irish excavation team discovered were a series of clay pots, each containing the skull of a pre-teen corpse. Remarkably, one of these skulls still held a piece of well-preserved brain tissue, making it the oldest example of the Neolithic brain ever discovered. But the amazing finds didn't stop there. In 2010, excavators discovered a sewn leather shoe dating back to the Copper Age. While sandals and other primitive footwear have been discovered from era's farther back, the foot wrap is the oldest example of its kind in existence. Shortly after finding the ancient footwear, the researchers then discovered what seemed to be an ancient wine press. The wine-making site is, unsurprisingly, also the earliest proof of wine-making ever found. Tying all of these discoveries together, the archaeologists have theorized that since the wine was likely made by stepping barefoot on the grapes, the leftover shoe was a result of this, and the winery's proximity to the burial site in turn lead them to believe that the libation had a sacred component to it. Although it is clearly a practice unrelated to Christianity's similar penchant for vino. Tours of the caves are available for anyone with a diehard interest in Copper Age innovation or shoes. Searching continues at Areni-1 and given enough time its possible that researchers can discover even more ancestral relics of the modern world.